"The conditional ceasefire will start tomorrow and it will continue as long as the Taliban preserves and respects it," he said in an Afghan Independence Day ceremony in Kabul. 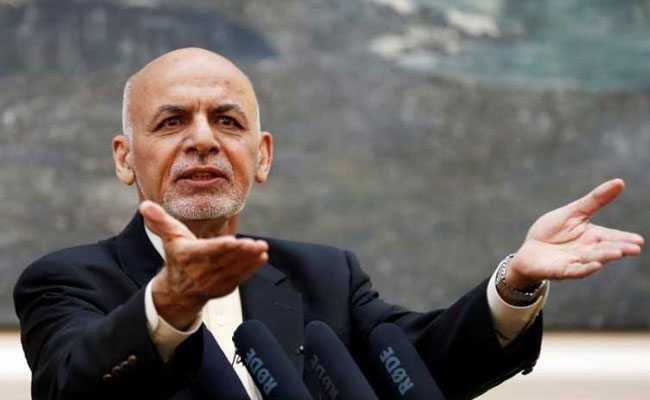 Afghan President Ashraf Ghani on Sunday announced a ceasefire with Taliban insurgents from Monday to mark the Muslim Eid al-Adha holiday, despite the heavy fighting seen over recent days in the central city of Ghazni. "We call on the leadership of the Taliban to welcome the wishes of Afghans for a long-lasting and real peace," he said. A senior official in Ghani's office said the "conditional" ceasefire would run for three months. It was not immediately clear whether the Taliban had accepted Ghani's call for a truce during Eid, the annual Islamic feast of sacrifice, which officially begins on Tuesday. This month the Taliban fought an intense battle with Afghan forces to control the strategically important city of Ghazni. At least 150 soldiers and 95 civilians were killed in a five-day siege, which eased last week when Afghan soldiers backed by U.S. forces pushed back the heavily armed rebels. The Taliban said in a statement that they had control over half of Afghanistan. Blasts, suicide attacks and clashes between hardline Islamic militants and Afghan forces killed over 1,600 civilians in the first six months of the year, the highest number in the past decade, the United Nations said in a statement on Sunday. Ghani's ceasefire announcement was limited to the Taliban and excluded other militant groups such as Islamic State.